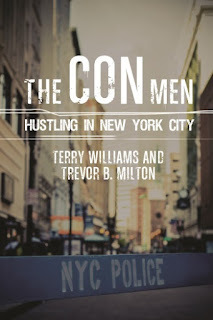 MY BOOK, THE MOVIE: Terry Williams and Trevor B. Milton's "The Con Men"
Whether it's selling bootleg goods, playing the numbers, squatting rent-free, scamming tourists with bogus stories, selling knockoffs on Canal Street, or crafting Ponzi schemes, con artists use verbal persuasion, physical misdirection, and sheer charm to convince others to do what they want. The Con Men examines this act of performance art and find meaning in its methods to exact bounty from unsuspecting tourists and ordinary New Yorkers alike. Through sophisticated exploration of the personal experiences and influences that create a successful hustler, this book offers a new take on structure and opportunity, showing how the city's unique urban and social architecture lends itself to the perfect con. 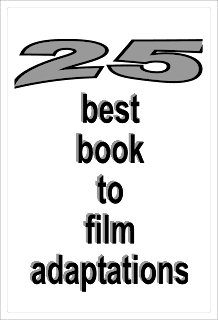 “Alibi”- The slick talking, rough-around-the-edges, master of the con game, and the philosophical front man for the book: Starring Samuel L. Jackson. Jackson would just need to grow out the hair and lean on his southern roots. “Otis”- The well-known local hustler, public character, and pseudo-mayor of Fulton Street: Starring Lennie James. He could pretty much take the same look he has in Walking Dead, put on a baseball cap and work on his Bed-Stuy accent. “Lee”- The handsome, twenty-three-year old selling water along Atlantic Ave. Starring Michael B. Jordan. If he were up for playing twenty-three, he would nail this. “Daniel”- The charismatic, master salesman and “slam” artist from Canal Street. Starring Vince Vaughn. Same height, same personality. “Maria”- Mother, gambler and numbers runner. Starring Catalina Sandino Moreno. Might have to add some years to her with make-up, but this is who I see in my head when I read this chapter. “Lorena”- The rent-cheating, landlord defrauding, tenant nightmare. Starring Rita Moreno. Only because my respondent said she looks like her. This would be an interesting role. “Ramon”- The ex-drug dealing, ex-user, exalted Puerto Rican man. Starring Jeffrey Wright. Mr. Wright would have to shave his head and get his Puertoricaño on, but he could do it. “Frank”- Retired police officer and sage of street and NYPD cons, alike. Starring John Turturro. He would pretty much only need to tweak his Brooklyn accent to a Bronx accent. “J.T. Gartner”- Former stock trader and maven of Wall Street cons. Starring Dustin Hoffman. Hoffman can do anything, right? Learn about The Con Men at the Columbia University Press website.